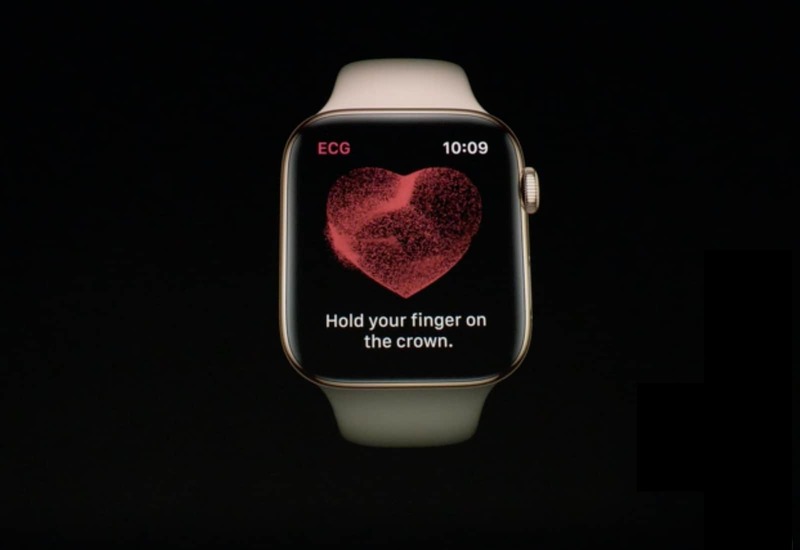 The ECG in Apple Wartch Series 4 will be a game changer... when it's actually available. Don’t have a heart attack, but the new electrocardiogram feature in Apple Watch Series 4 won’t work when the wearable launches. Apple isn’t exactly hiding this fact, but it’s certainly keeping it quiet. As Apple revealed yesterday, the Apple Watch Series 4 packs an ECG on its back. To use it, all that will be necessary is to hold your finger on the Digital Crown. It will take about 30 seconds for the watch to measure your heartbeat patterns. The resulting data goes into the Health app and can be shared with your doctor. However, this feature requires a watchOS application that won’t be available when this wearable hits store shelves. When the software will be released isn’t clear. This is why none of the people doing hands-on first impressions of Apple Watch Series 4 yesterday could test it. It’s easy to assume that Apple will finish up work on the ECG and get the application out in a few weeks, to a couple of months at worst. Just try not to think about the AirPower charging mat that was announced a year ago and still doesn’t have a launch date. Apple Watch Series 4 — minus the ECG app — will go up for pre-sale tomorrow, with prices starting at $399. The wearable will be available in stores beginning September 21. Even when the electrocardiogram app is available, don’t count on it too much.